In 2012, 93 million eligible US citizens didn’t vote in the general election. Our goal was to encourage voter participation by taking a process that is overwhelmingly complicated and making it a simple conversation. 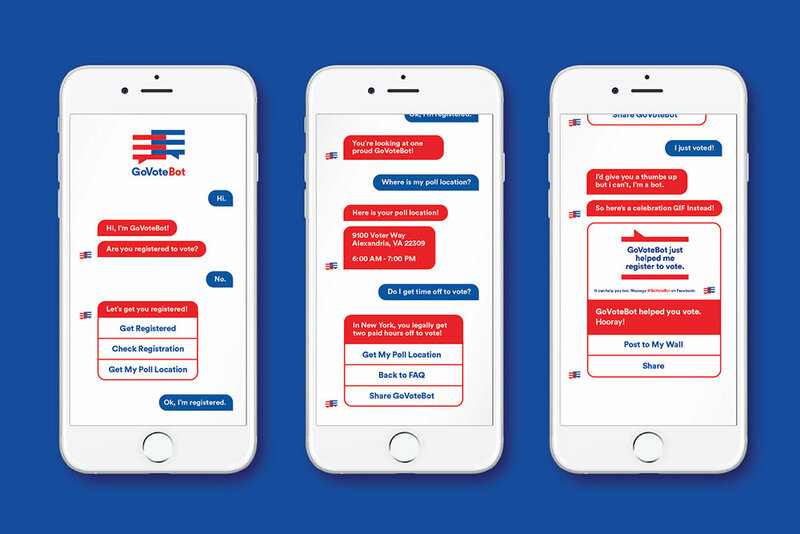 GoVoteBot, a nonpartisan chatbot on Facebook Messenger, is an end-to-end and completely personalized solution for getting voters the information they need to vote. Information is detailed, accurate, and—most importantly—bite-sized and easy to understand. Users can register to vote, check their registration, and locate their polling place without ever leaving the bot. 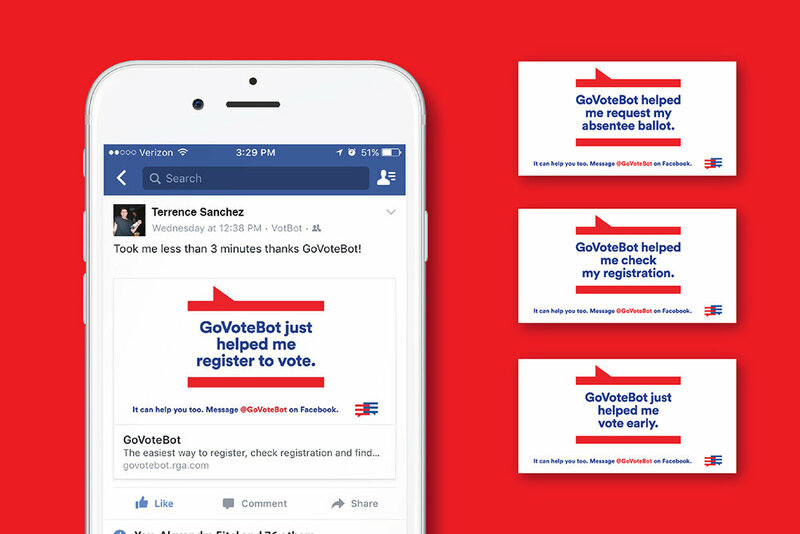 GoVoteBot saw 55 million media impressions and started over 100,000 conversations about voting. GoVoteBot is an end-to-end solution for getting voters the information they need to vote.